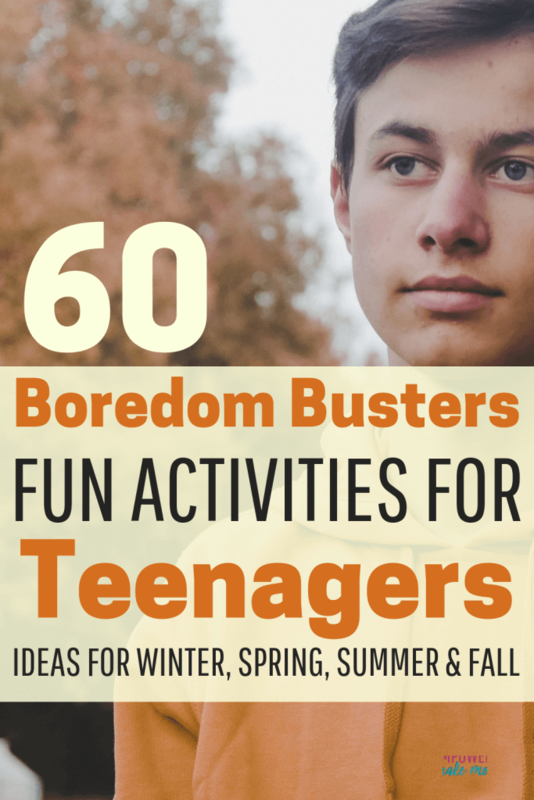 Inside: Fun activities for teens to do when they are bored. Fun activities for you to do with your teenager. 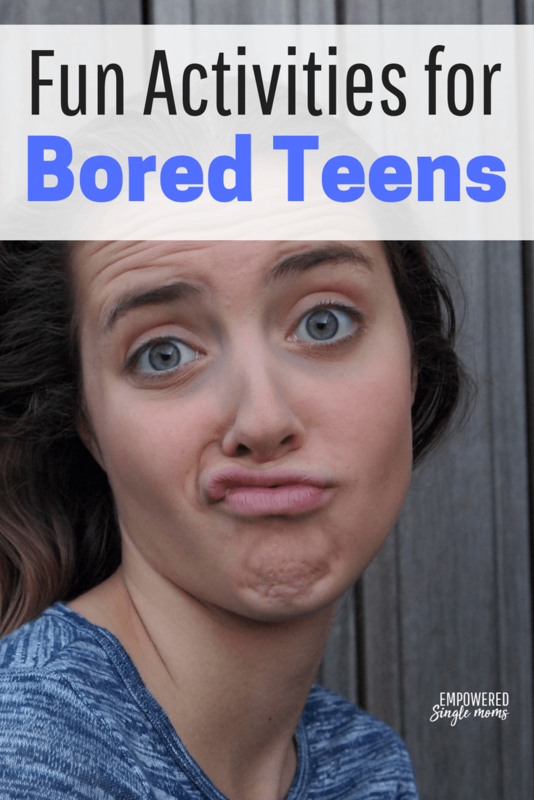 Boredom busters for teens to do alone or with friends. Activities for inside on a rainy or winter day. A bored teen can be a dangerous thing. Bored teens need fun activities to keep them out of trouble. 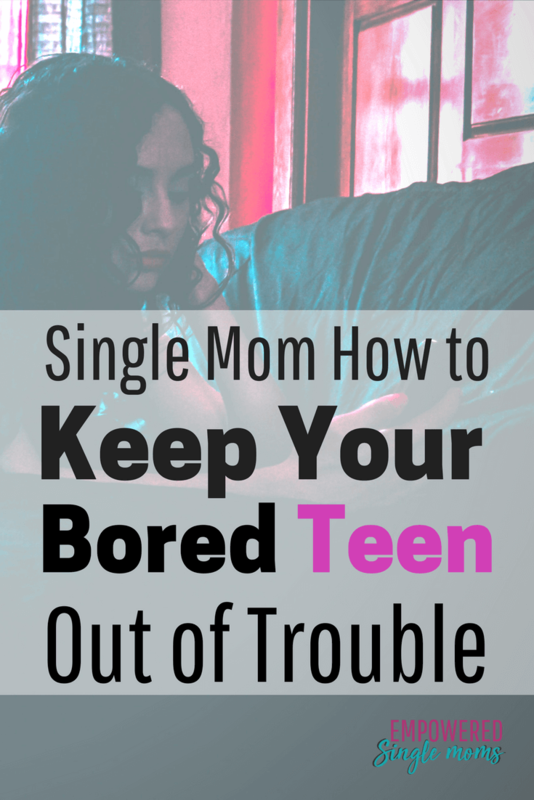 As a single mom, boredom is one of the things I worried about. With only one adult in the home, it becomes more complicated to make sure a bored teen doesn’t turn to the wrong things to keep busy. There are so many ways a bored teenager can go wrong. They can spend endless hours in front of a T.V., computer, or phone screen vegging out. They can watch videos or play games that reinforce values you are totally against. It’s not too hard to find things online that devalue women, encourage violence, or even glamorize suicide. Then there is the fact that too much screen time equals isolation and very little exercise. Studies show that too much screen time correlates with increased risk of depression in teens. Of course, there are far worse uses of a teenager’s time than bingeing on screen time. They may be making babies. Maybe flirting with delinquent behavior is keeping them busy. They could be experimenting with alcohol and other drugs. What is a mom to do? These activities will bust the boredom, keep teens off their screens, and give them healthier options than baby making or drug use. Need even more ideas for crafts? Check out Made with Love Super Bundle. This is the ultimate bundle of craft patterns worth over $1,000. You pay less than $50. If you decide to sign up for Tinker Crate or Doodle Crate sign up for Ebates first right now you will get an additional 7.5 % off. Get a job! It can be fun to earn money and spend time with friends while working. Printable with 35 ideas for making family memories available in the resource library. Your teen can even wear their bored teen label with pride–check out the shirts here. You probably don’t want to show your teenager this list of ideas. When a mom gives a teen an idea, it’s value is often reduced significantly, so don’t hand them over a list of ideas. Instead, challenge them to come up with a list themselves. A fun activity is to come up with a bucket list of 100 things to do in your life. You might even do that yourself and then compare parts of your list. The benefit of a bucket list is to get beyond the mundane and expected. It is a challenge to think about all the things you might like to do in your life. Once it is written down, it becomes closer to a goal and you are more likely to focus on ways to make it happen or take advantage of opportunities that become available. Organize your room–Start with one shelf or a hula-hoop-size area. Redecorate your room–Pick a new color for the walls. It is good for everyone to dream about what is possible. If your teenagers are dreaming of writing a book, getting a Ph.D., hiking the Pacific Crest Trail, or learning to make an exotic dish, it is much less likely they will be using their time getting into some sort of trouble. If you need inspiration on how life-changing doing a bucket list can be for your teenager, check out John Goddard’s story here. He made what seemed to be an impossible list at the age of fifteen and accomplished most of it. Thinking about what your teen likes to do, what will get them moving outdoors, and what will keep them occupied and out of trouble when they have to be indoors is a great start for making a plan to stave off teen boredom. Having a plan is imperative because you don’t want kids to default to staring at screens, so sit down and discuss with your kids how they will use their free time. Talk about goals, experiences, and, perhaps most importantly, fun! As good as the teenage mind is at finding undesirable pastimes to fill dull moments, I think you’ll find that it’s also good at accomplishing remarkable things.